(SKNIS): The Honourable Eugene Hamilton, Minister of Agriculture and Marine Resources underscores the invaluable use of the Fish Aggregating Device (FAD) equipment that has been beneficial to local fishers. The equipment was handed over to the Department of Marine Resources (DMR) and St. Kitts-Nevis FAD Fishers Association by the Ross University School of Veterinary Medicine (RUSVM) on August 03, 2016. The equipment received included robust GPS Tracking Devices and Solar Powered Strobe Lights to enhance the way the fishermen/women are able to locate and access FADs. Minister Hamilton said that the above mentioned matters were especially detrimental to the Federation’s reef habitats which served as key fishing grounds for most local fishers, resulting in regular fluctuations in the landings of fish from specified areas. The Marine Resources Minister said that St. Kitts and Nevis’ MMA was proposed since the late 1980’s, but substantial work was completed in 2010, in the 2010 Marine Zoning Plan, after extensive multi-sectoral consultations were done to define the marine areas to be managed. He further stated that the fisheries legislation at that time was inadequate to sufficiently manage the St. Kitts and Nevis MMA. 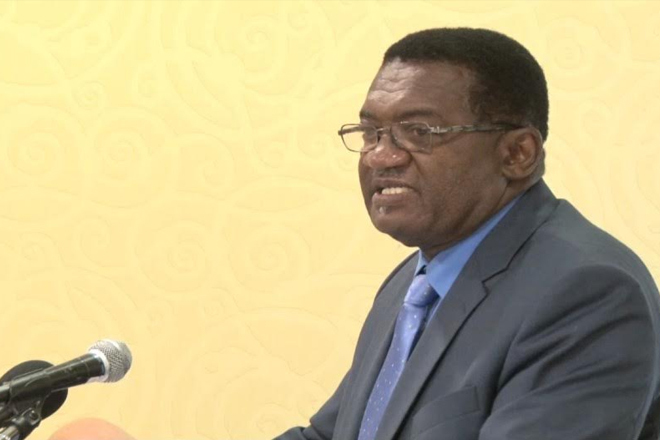 Minister Hamilton spoke to the yellow card the Federation received from the European Union (EU) in 2014, when they claimed that St. Kitts and Nevis was classified as a non-cooperating third country. He added that this action came in response to the Federation’s registration of fishing fleet operating off the West African Coast and in the North-Eastern Atlantic fisheries region. He stated that since the yellow card, the Government of St. Kitts and Nevis has followed an action plan provided by the EU. Minister Hamilton added that one of the very first things that was done following the action plan was to create new fisheries legislation. He said that the Government continues to develop a high seas fleet policy and to monitor the control and surveillance system plan adhering to the requirements of the EU.